You'll be ready for anything that comes your way when you have this cute belted dress in your closet. The Ready For Anything Belted Surplice Dress is fully lined below the waist. It is made of a soft cotton blend fabric that can be dressed up or dressed down. 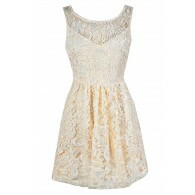 It features a crossover V neckline with a button closure at the front. The elasticized waist gives way to the flattering flowy skirt. An included braided belt wraps around the waist, creating contrast. 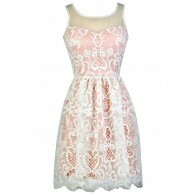 This is an adorable dress that looks nice paired with wedges, pumps, or heels. You can also dress it down with flat sandals or cowboy boots for a cute country look. This is a dress that can be worn year-round, depending on how you accessorize. Details: Lined below waist. Belt included. 60% cotton, 40% polyester. Lining: 100% polyester. Hand wash cold water separately. Color will bleed. No bleach. Hang to dry. Small measurements: Length from top of shoulder to hemline: 34". Bust: 30". 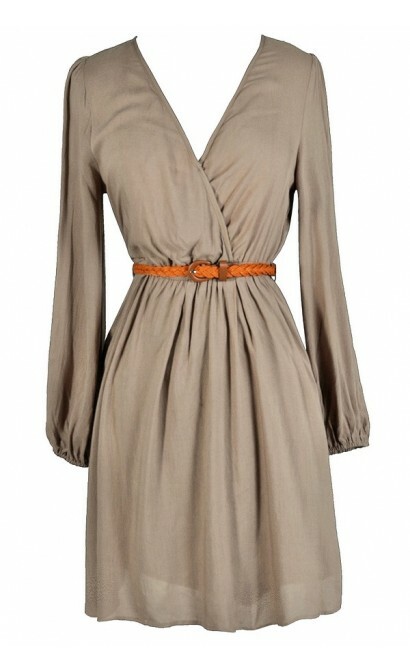 You have added Ready For Anything Belted Surplice Dress in Mocha into Wishlist. You have added Ready For Anything Belted Surplice Dress in Mocha for Stock Notification. You have set Ready For Anything Belted Surplice Dress in Mocha as a loved product. You have removed Ready For Anything Belted Surplice Dress in Mocha as a loved product.